Back in the old days when I would attend two week football camp, my head coach once told me that I was the only player he ever coached who looked forward to summer camp. I told him that, after working for my Dad in the tobacco patch all summer, football camp seemed like a vacation to me. Also, Coach Penn would at least joke and smile while trying to kill me. As for Pop, I felt kind of like Walt Garrison when asked if he had ever seen Tom Landry smile. Walt replied,” I don’t know since I only played there for nine years.” Tom reminded me of Pop! Well, today begins fall training for our hunting dogs, and I am betting that the guides will cuss them out just a little, but they will love them up a lot more than they cuss them out. A lot of people may not realize it, but all mammals have to get in shape. Our dogs have been lounging around the kennels for six months with a little training in the shade for an hour or so each morning. Now it’s time for them to start stretching those legs out, and building their stamina. We are not so interested in the finer points of a classic point, back, or retrieve as we are just getting them in shape. All of them have put on a few extra pounds, which they need to run off. After about two weeks of this, then we will begin really focusing on refining and reminding them of their techniques and skills, but first we have to make certain that none of them die of heat strokes. 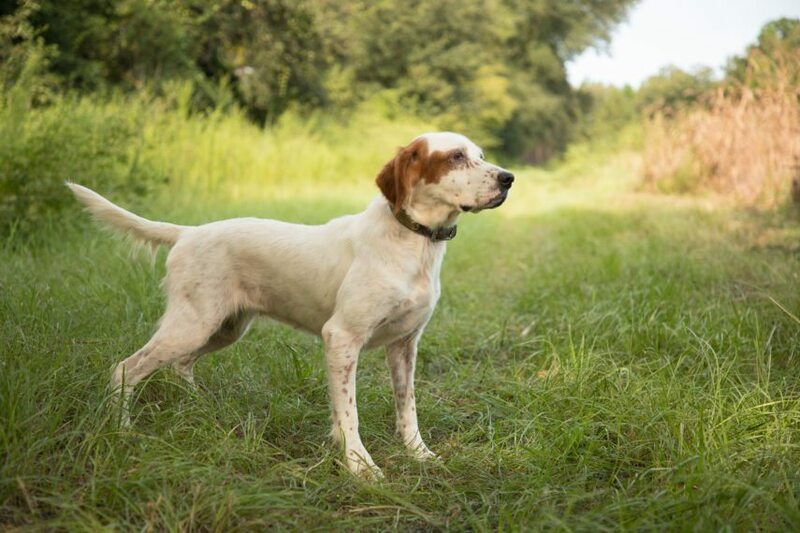 In this second phase of dog training, we will actually have the guides start shooting some quail over them, and determining which pairs of dogs on each guide’s string work best together as a team. By the way, although our guides might lead you to believe that they never miss a quail, this is simply not true. This is also the period of time when our dogs have to learn how not to turn around and look at his hunters with an expression that says,” how in the hell could you miss a going straight away shot”? Many of our dogs would have made great poker players as they also learn to spend time looking for a dead bird that they saw fly away unscathed. Our English Cockers have really improved on loss time looking for dead quail that never existed in the first place since these little critters do NOT lose a downed bird, but they also can’t make a dead bird appear out of thin air. Meanwhile here at the lodge, we have begun the process of pruning, mowing, cutting limbs, and turning a place that suffers from planned benign neglect during the summer months into a place of beauty. All of our men who are able to work participate in this program once they have finished exercising the dogs refer to this as “the chain gang” work. We are slinging swing blades along the river banks, running chain saws, pruning shears, and hedge trimmers. There is a constant hum of activity punctuated by occasional screams of abject terror and pain. That occurs when some unfortunate soul uncovers a yellow jacket nest. We keep plenty of stuff on hand to destroy the yellow jackets. We also always find out if an employee is allergic to bee stings so that we can have an Epi Pen on hand. I have a forester friend who is more afraid of yellow jackets than he is of rattlesnakes. I will say these little pests pack a potent sting as I have been popped more times than I can count. All of this blog is just a gentle reminder that hunting season is just around the corner, and we are getting ready for y’all. We hope that you are planning a visit this year. Available spots are going fast; so I would encourage you to call Cader IV if you have not already done so. Don’t call me as I have become an old dog, and I get to just sit in the kennel and bark most of the time. Isn’t that what most chairmen do anyway?